Eye Care of Claremore is pleased to offer a wide range of optometric services, eye care products including eyeglasses, specialty eyewear, frames, and contact lenses. Our staff is happy to help however we can. Our mission is to enhance the health and vision of people through compassionate, quality care by delivering the service and honor we would expect for our own family. It shows in everything that we do. From your first contact with us to your appointment and your follow-up, we aim to make your eye care experience great. This is what drives us to provide you with the best care year after year! Eye Care of Claremore is proud to welcome Dr. Cale Fulps to the practice. Dr. Fulps will begin seeing new patients in June, but we are happy to begin scheduling appointments with him at this time. Give our office a call at 918.341.2020 to schedule your appointment today! 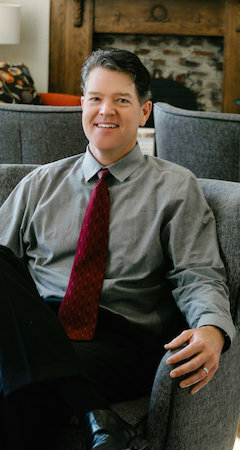 Continuing Education: Dr. Kuykendall continually broadens his scope of practice by attending Continuing Education Seminars and Certification Courses for practicing Optometrists. He strives to focus his training on Pediatrics and Vision Therapy, contact lenses, co-management of cataract and refractive surgery, primary care and glaucoma. Personal: Eric and his wife Stephanie reside in Claremore with their three children. In his spare time, he enjoys playing tennis, spending time with his family, and playing the drums. They attend First Baptist Church in Claremore. Dr. Kuykendall began practicing Optometry in 1995 and opened Eye Care of Claremore in 1996. Eric and his wife Stephanie live in Claremore with their three children, Nathan, Lauren, and Erin. Dr. Lauren R. Cisper joined Eye Care of Claremore in 2014. She completed her undergraduate studies at Northeastern State University in Tahlequah, OK, where she received a Bachelor’s Degree in Organismic Biology. Dr. Cisper attended optometry school at Northeastern State University Oklahoma College of Optometry, where she graduated in 2013. Following graduation, she completed an ocular disease residency at Eye Care Associates of South Tulsa where she received extensive training on anterior segment laser procedures, minor surgical procedures, pre and post-operative surgical management, and the diagnosis and treatment of ocular diseases. Upon completion of her residency, Dr. Cisper obtained a Fellowship with the American Academy of Optometry. During her optometric education, she was the recipient of the Southwest Contact Lens Society Excellence in Contact Lens award two years in a row. She was also a member of the Beta Sigma Kappa optometric honor society, Women in Optometry, and Student Volunteers for the Optometric Services to Humanity (SVOSH). Her volunteer work includes the OSU Bedlam clinic in Tulsa and the “Opening Eyes” Special Olympics program in Stillwater, OK. Dr. Cisper’s involvement with SVOSH allowed her the opportunity to participate in two medical mission trips to Roatan, Honduras where she helped provide eye care to over 1,800 patients in need. Dr. Cisper resides in Inola, OK with her husband Kyle and their two children. She is an active member of the American Academy of Optometry, American Optometric Association, and the Oklahoma Association of Optometric Physicians. 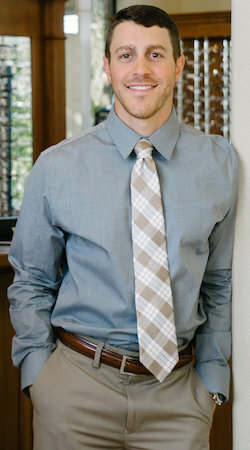 Dr. Cale Fulps was raised in Broken Arrow, OK. After high school, Dr. Fulps accepted a scholarship to play football at Northeastern State University in Tahlequah, OK. Once he finished his undergraduate studies, Dr. Fulps entered Optometry school at Northeastern State University Oklahoma College of Optometry, where he graduated in 2017. While in optometry school Dr. Fulps received the J. Pat Cummings clinical excellence award, was selected by faculty as Most Outstanding Third Year Clinician, and earned a 4.0 GPA. Dr. Fulps served as the president of the Fellowship of Christian Optometrists as well as the president of Students Volunteering Optometric Services to Humanity (SVOSH) where he organized and planned a week long medical mission trip to Roatan, Honduras. Dr. Fulps married his wife, Talor, in 2014 and now resides in Broken Arrow. He is an avid outdoorsman and spends most of his time away from clinic hunting and fishing. Dr. Fulps is also a memeber of the Oklahoma Association of Optometric Physicians and American Optometric Association. Dr. Fulps will be joining Eye Care of Claremore in mid-June and is now accepting patients. Stephanie Kuykendall was born in Tulsa, OK in 1968 and raised in Claremore, OK. Her parents, Bill and Shirley Flint, of Claremore, moved to the family farm southeast of town. Stephanie attended local schools and graduated in 1986. She furthered her education at then Rogers State College and Oklahoma State University, and graduated from Northeast State University in 1991 with a BS in Secondary Science Education. After marrying Eric in 1991, she joined him in Memphis, Tennessee where she taught high school science courses for two years. She then entered the Occupational Therapy program at the University of Tennessee, Memphis, where she graduated with high honors in 1995. 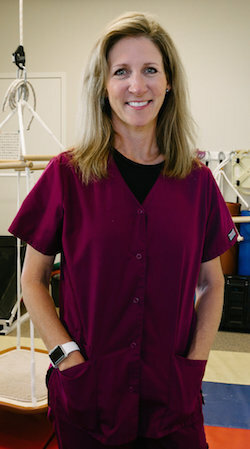 Stephanie began her career as an OT at Therapyworks in Tulsa, OK, where she began her practice in Hand Therapy. Because the facility also provided pediatric care, Stephanie began to assist in the clinic and in schools. Although she experienced great fulfillment in working with the Hand Therapy patients, she was attracted to children and their families. 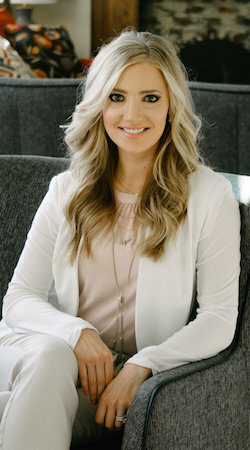 Her company, Function 1st Therapies, was founded and from 1996 – 2004, Stephanie provided therapy in various public school systems of Owasso, Claremore, and many others in Rogers County and Tulsa County. She continued to provide hand therapy for patients and offered consulting services for other local facilities in Rogers County, including Claremore Regional Hospital and Summit Physical Therapy. Currently Stephanie is active by offering presentations for educational professionals and serving patients through the facility located in Eye Care of Claremore. Stephanie is a member of the Oklahoma Occupational Therapy Association. She is actively teaching Sunday Bible Studies within her local church, Claremore First Baptist. She and Eric have three children, Nathan, Lauren, and Erin.